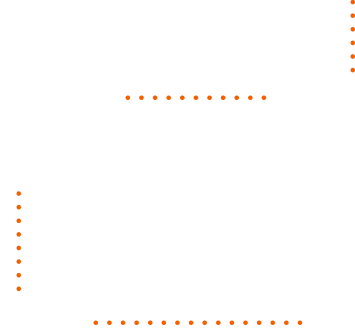 IT BEGINS WITH THE OnCOMMAND® CONNECTION SUITE OF PRODUCTS. ELD, TELEMATICS, Advanced Remote Diagnostics, Marketplace, and OnCommand® Link. 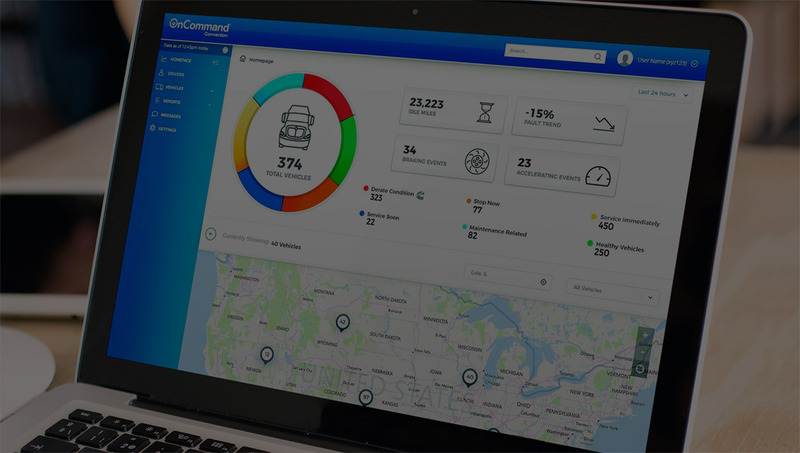 OnCommand® Connection is leading the charge to bring the industry's most comprehensive portfolio of connected vehicle services to market. Open-platform, agile, easy to install and easy to use products are built to keep drivers and vehicles on the road—while keeping the back office informed about all aspects of the vehicle, driver, route and maintenance. Monitor and manage the thousands of fault codes your trucks produce. Make informed choices to manage your fleet for maximum productivity. Comply with safety standards by taking action on critical faults. 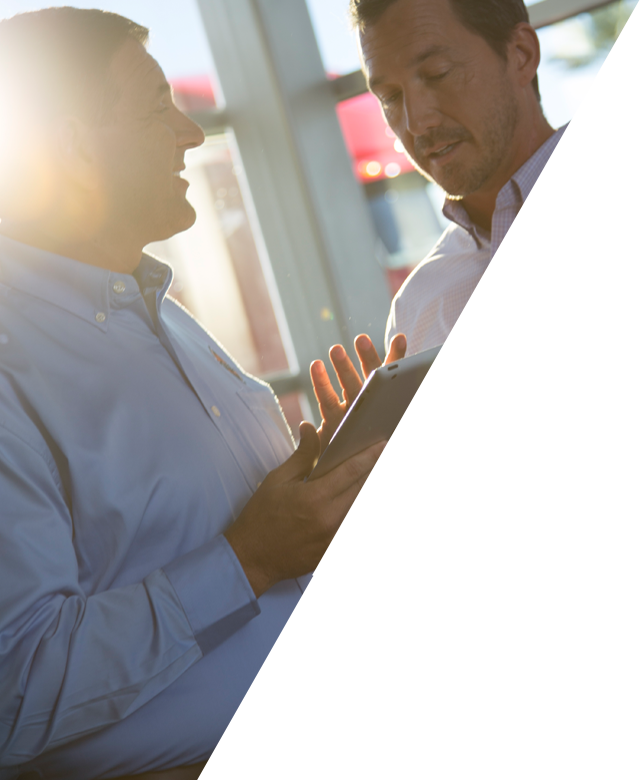 Connect your fleet with service centers and manufacturers. for more than 18,000 engine and vehicle faults. your fleet while it’s on the road. needed repairs while avoiding unnecessary service visits. vehicle locations and find nearby dealers. 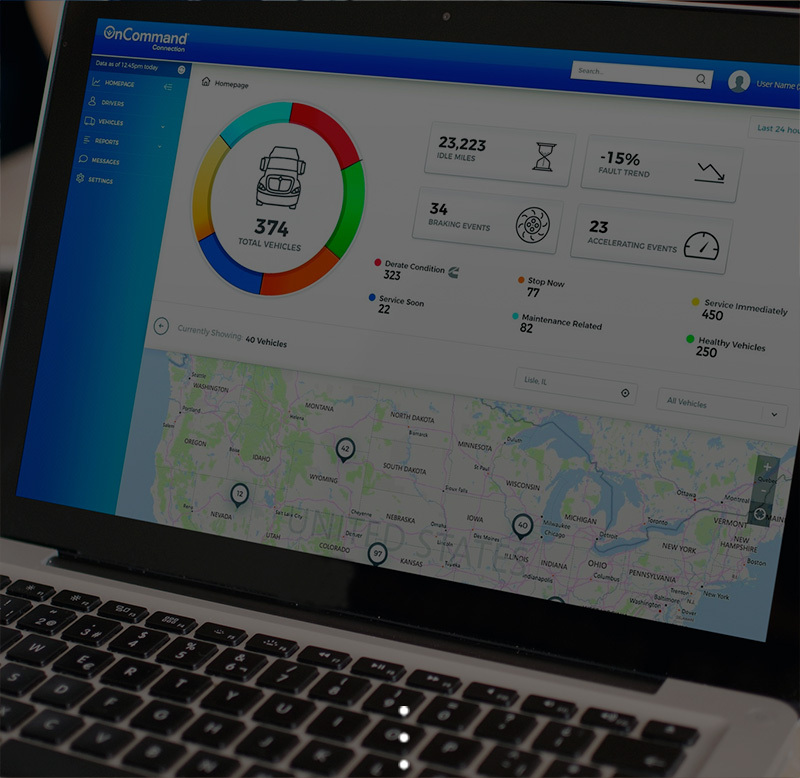 No matter which truck, bus or engine makes comprise your fleet, OnCommand® Connection will monitor them all. “Guess work,” isn’t something fleet managers should be doing. Why? It’s not good for business. With features such as interactive mapping, engineer-designed action plans and access to your online portal through multiple devices, OnCommand® Connection provides you everything you need to accurately keep your fleet on the road and your business profitable. Monitor what’s going on with your entire fleet in real time, with multiple filters and direct links to other integrated applications. Filter information by vehicle type, fault code or time frame. View active fault codes and health reports for specific vehicles. Locate the dealership closest to your vehicle’s location. “Favorite” certain vehicles to keep an extra-close eye on them. Consider this the condensed version of everything that’s going on with your vehicle. It’s an easy-to-look-at list featuring current fault codes and links to enable action when a serious issue exists. It’s not enough to get alerts about severe issues with your vehicles. You need a plan of attack. Our experts are here to help. With more than 18,000 action plans, we’ll recommend the best solution to getting your vehicle fixed and back on the road. Interactive mapping helps you quickly locate your vehicle, plan solutions if repairs are needed, and most importantly, keep your business running. Create custom alerts based on fault severity, report type and fault type. Receive the info when you need it most. 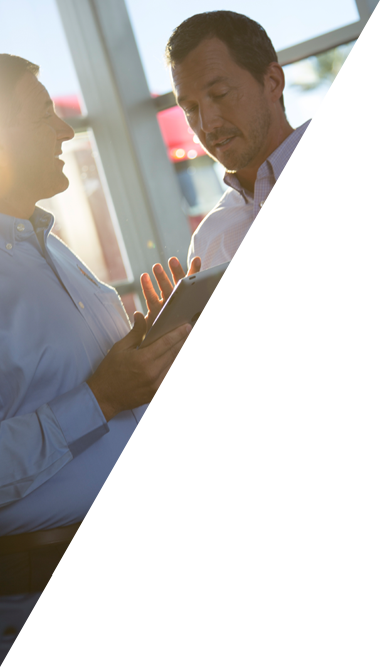 To revolutionize your business with OnCommand® Connection, all you need is a telematics system from one of our partners (see list) that has up-to-date hardware. 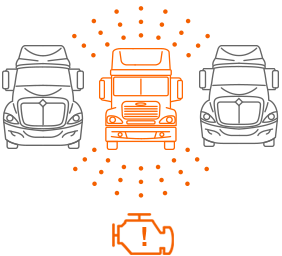 OnCommand® Connection is part of the OnCommand® family of fleet management services from OCC Technologies, LLC. For more than a hundred years we’ve been the innovation leader in the transportation industry, from products that drive global markets to products that are safer for the entire planet. No matter what we do, you’ll find us taking the lead. 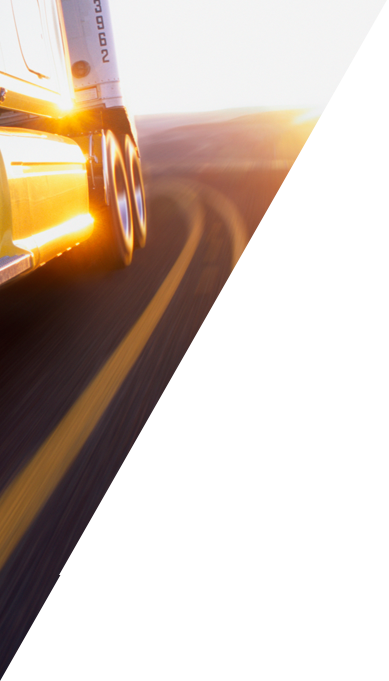 As a fleet manager, you’re on the front lines. You told us what your business needs were, and we listened. You said you wanted a single portal to view your fleet’s data. We built the first open architecture system that works with all telematics systems. You said you wanted to be able to see your entire fleet. We created the first and only all-makes capable system that can be used with any brand of vehicle. You said you wanted to be able to check on your fleet from anywhere or any place. We offer the first and only system to be available from multiple interfaces such as your computer, phone or email. You want your fleet to stay on the road. If they’re not there, you’re not making money. 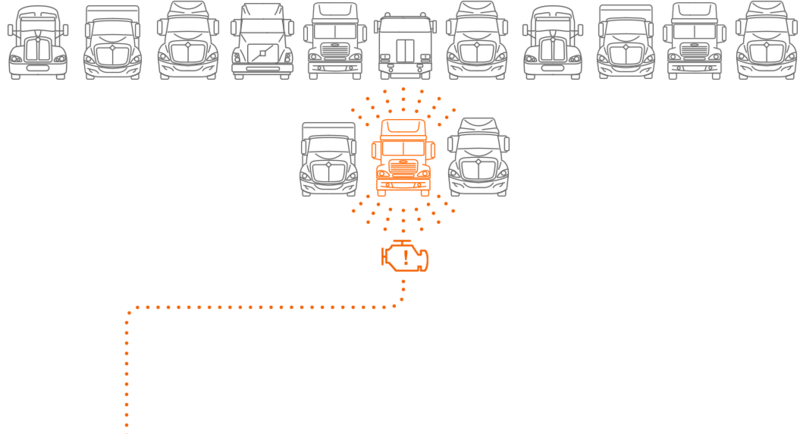 OnCommand® Connection was designed to help keep your vehicles moving and your profits rising. Through a single portal you can monitor your entire fleet in real time. Get up-to-the second fault codes on each vehicle so you can prioritize repairs and get them fixed before anything major happens. For us, uptime isn’t another word. It’s the backbone of everything we do.